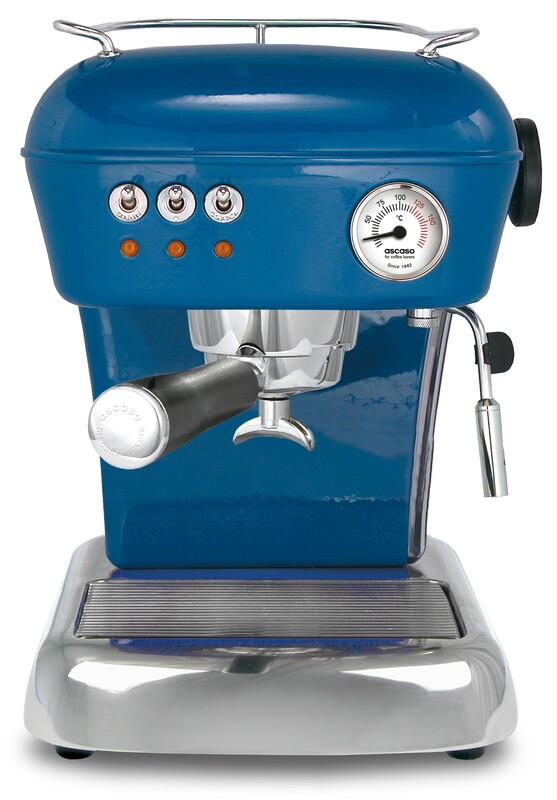 The Dream model is one of the most emblematic coffee machines of the Ascaso factory. This machine, designed by Marc Aranyó, combines the retro look with the latest state-of- the-art technology. Besides from decorating the area where it is placed, this espresso coffee machine provides a professional quality extraction and versatility to offer varieties of coffee (espresso, medium, large) as well as cappuccino and other latte varieties. And always, with great simplicity it its daily use. Ascaso Factory has built a reputation based on quality, customer service and innovation. Founder Jesús Ascaso discovered his passion for coffee in the 1950s as a factory worker fabricating espresso parts for companies. With a head full of ideas and a commitment to integrity and quality, Jesús founded Ascaso Factory SA in Barcelona, Spain in 1962. It began as an espresso machine spare parts supplier but quickly grew into a worldwide brand, as Ascaso supplies espresso parts to more than 50 countries. Jesús’ son, José Luis Ascaso, has taken over the reigns in the past 10 years with world-class leadership. He created an espresso machine factory and has been outsmarting the Italian espresso manufacturers ever since. Being official & exclusive partner of Ascaso brand for India, De Brewerz offers all the range of Ascaso Products to the Indian Market. In next 6 years down the line De Brewerz want to replace all other coffee makers with Ascaso brands in every home, every kitchen, every restaurant, every cafes..